Eight + One was a group show of 9 artists curated by Bill Seeto. 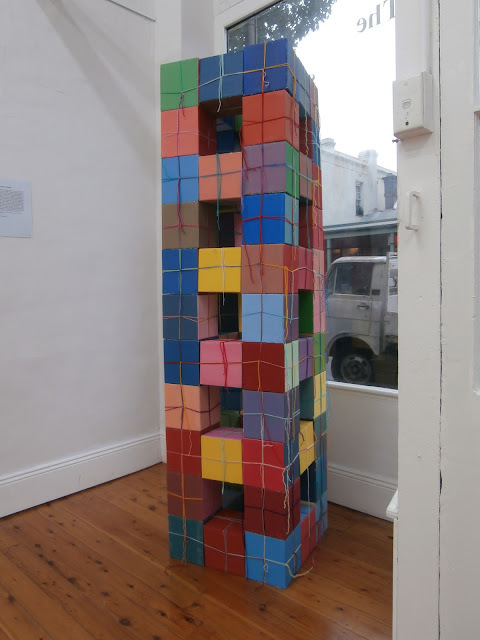 The artists involved were Lynne Barwick, Edwin Easydorchik, Nola Farman, Barbara Halnan, Sahar Hosseinabadi, Bette Mifsud, Cecilia White, Elke Wohlfahrt and myself. 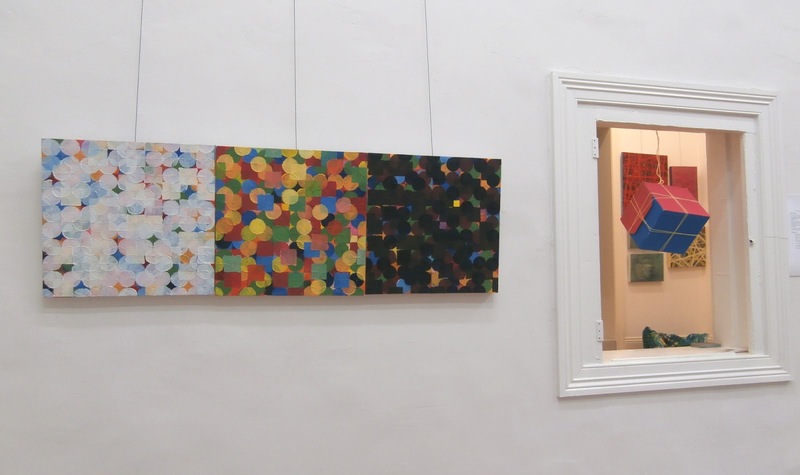 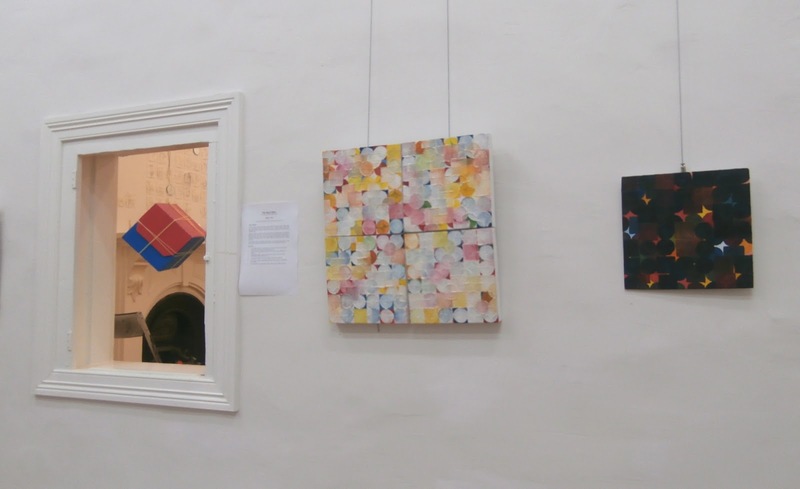 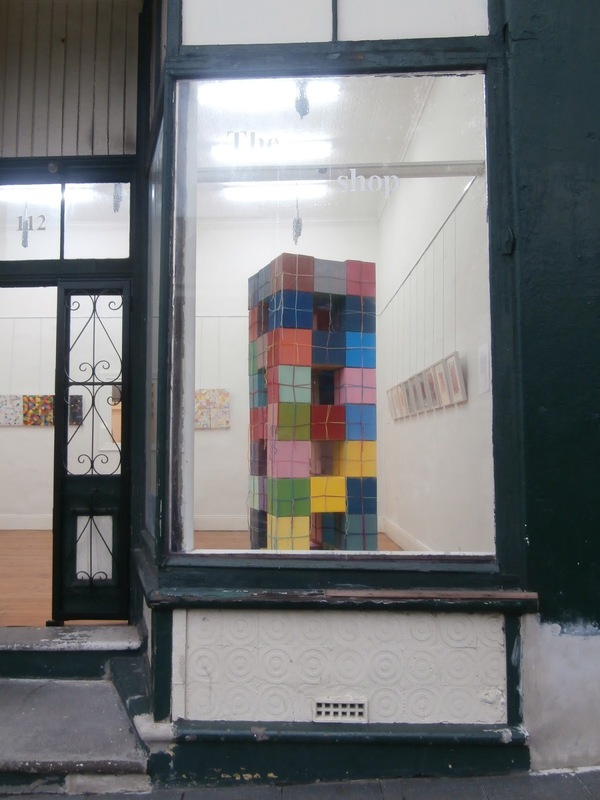 The exhibition changed each week with 3 artists being showcased in the front space of the gallery each week, with the other 6 artists works showing in the back space. 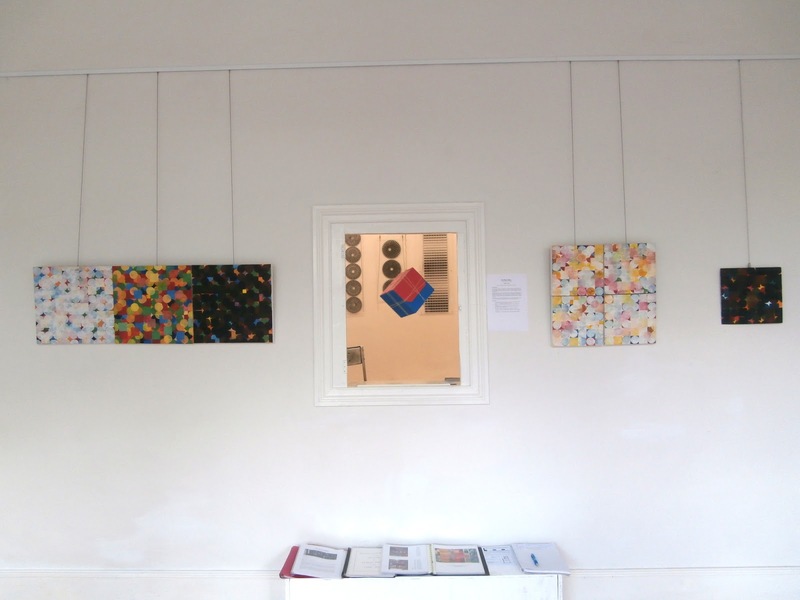 CLICK ON THIS LINK to go to the exhibition blog and CLICK HERE for a review of the exhibition by Mark Roberts. 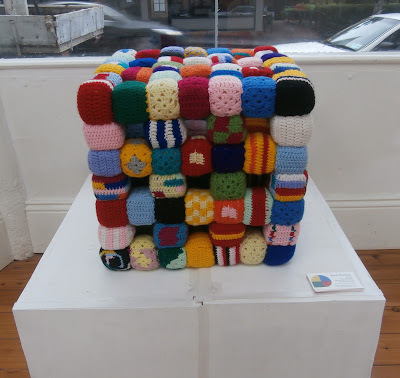 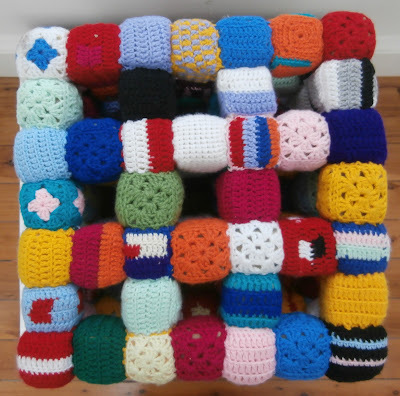 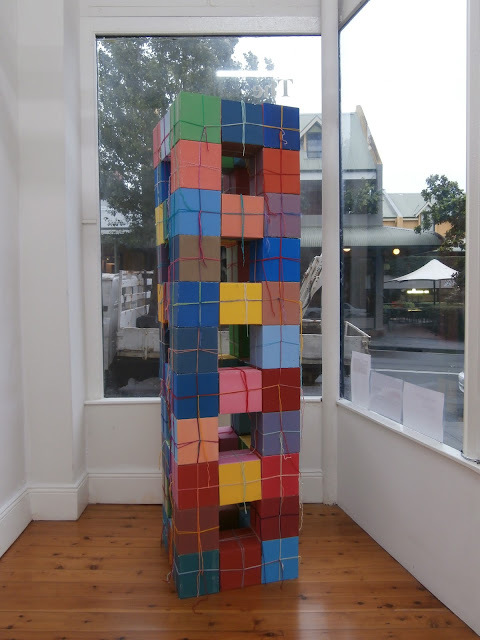 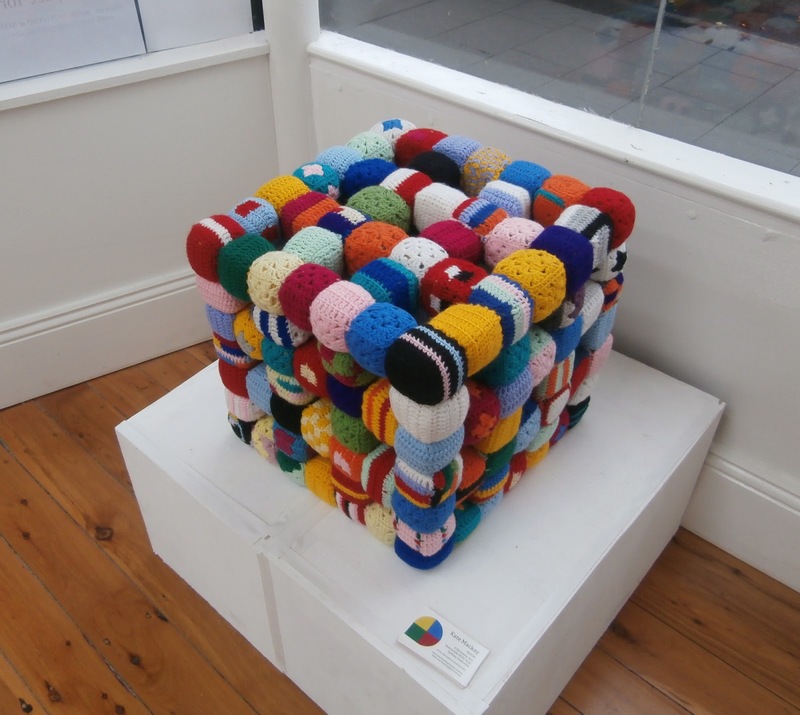 I exhibited a crocheted cube work, a cardboard cube tower and some paintings.